Above is a receipt that may have saved the life of a mother and her three children on Monday afternoon. 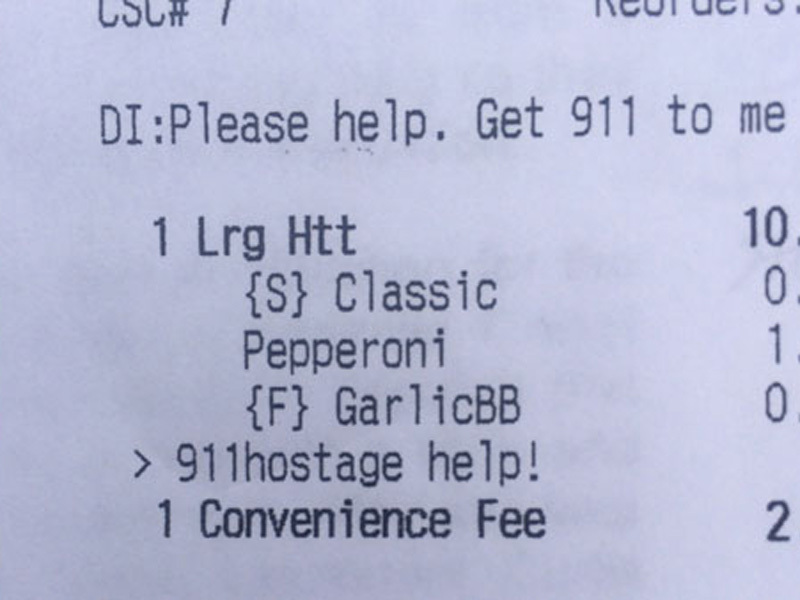 Cheryl Treadway of Avon Park, Florida, used the Pizza Hut app on her phone to order a pepperoni pizza and to ask the pizza makers to place a 911 call on her behalf. Her boyfriend, Ethan Nickerson, allegedly held Treadway and her children hostage for hours before finally agreeing to allow her to order a pizza for the family. He took the phone from her immediately when she finished placing the order, but he was not aware the police had been alerted until they were approaching the house. Authorities managed to get Treadway and one of her children out, and after a 20 minute stand-off in which Nickerson was holding a knife and saying he wasn’t coming out to go to jail, he surrendered.